Art enters a new dimension! We present the world's first Museum in WebVR based on our VR-Content-Management-System Sphere in cooperation with ZDF Digital. Create truly immersive, web-based Virtual Reality brand and product presentations in minutes. Increase Sales by up to 80% by immersing your clients into your industrial products! SN Maschinenbau and Herrmann Ultraschall increase sales presenting ultrasonic welding and packaging technology on exhibitions in Virtual Reality. SCA creates next generation product presentations by offering a complete virtual environment for sales, marketing and product training. PEMAT presents its concrete mixer equipment on exhibitions driving 30% more sales! Infotainment enters the 3rd dimension! kicker online creates the world's first timeride into worldcup sports history. Dive into the game and make a difference! 3. Customize and you’re ready! Create VR product presentations in 360 sec. Who is using ZREALITY Sphere? Sphere has been conceived for all businesses who would like to present products and their company in a new dimension! 80% MORE LEADS DURING EXHIBTIONS! 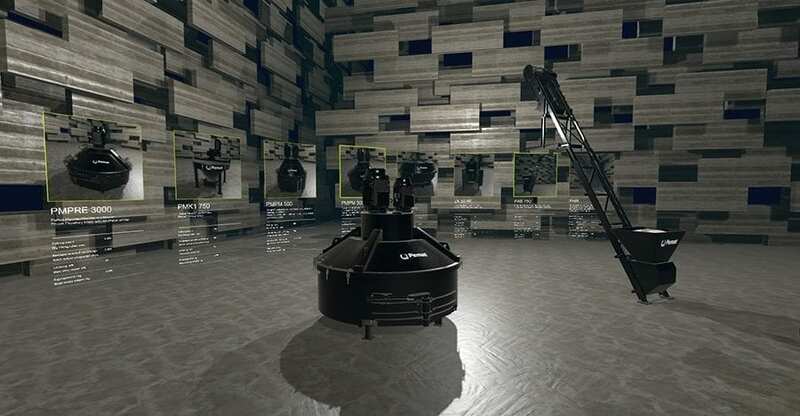 Bring products to life in Virtual Reality for Sales and Exhibition use cases. 40% LESS COST IN ENGINEERING! Conduct product design reviews in virtual reality with your engineering teams. 70% COST REDUCTION IN TRAINING! Explain your product to customers and drive efficiency in employee training. Drag & Drop creation of VR product presentations in minutes! Your company available on all VR devices and platforms! Sphere uses WebVR technology to bring 3D content to all devices, regardless of smartphone / cardboard, PC / Mac or mobile and stationary VR headsets. “ZREALITY has a unique technology we have not ben able to find in the market. There is no vendor that combines the functions of a content management system with WebVR technology. ZDF Digital was able to create the “Digital Kunsthalle” in unimaginable quality with the ZREALITY Sphere platform. The Kunsthalle is a world-wide unique cultural offering that is now available to a broad mass of users on the Internet. Your would like to learn more about ZREALITY Sphere or you have a specific request? Pls. fill out the form below to get in touch with us!